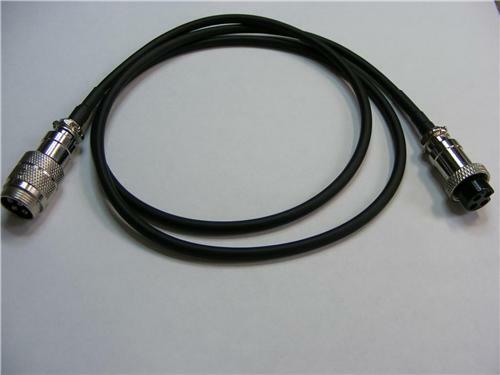 3' Microphone Cords that are Straight Cable and will work for any 4-Pin Microphone!! You won't find these anywhere else as no one makes them but me!! I know that I have always wanted to be able to move my Mic on my radio closer to me but the cable was too short or it was putting to much strain on the cable. Well now my problem is solved and so is yours. This Cable is made right here in my Shop and is hand soldered and tested. You won't find a nicer setup than this as you don't have to fight a coiled cord and you can hide this cord anyway you like. I made this one 3' but I can make them any length you want just add $1.00 a foot to the sale and let me know the length you want. The Cable is wired 4-Pin Cobra, Galaxy, Ranger but we could do 5&6 Pin cables too. I think this is just something everyone should have, there are so many uses for them at home on the base or in the mobile. You guys got to see them first, so be one of the first to have one. Buy them now! !